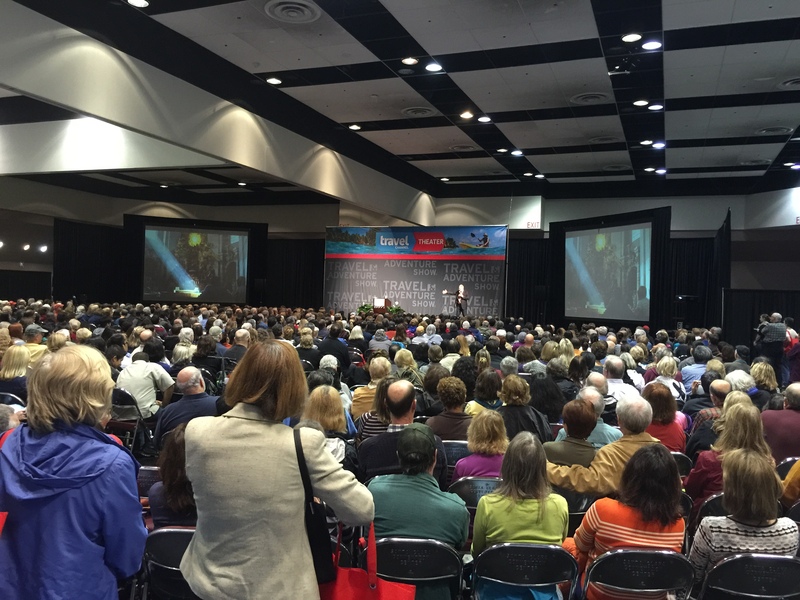 Home » Featured » Find your next vacation at the 2016 Bay Area Travel & Adventure Show! 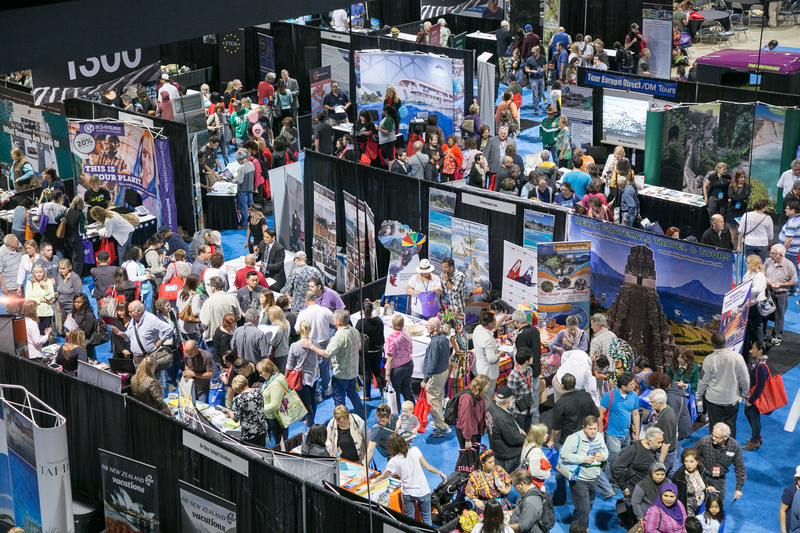 Find your next vacation at the 2016 Bay Area Travel & Adventure Show! Posted by Alla Vita Buona on Feb 24, 2016 in Featured | Comments Off on Find your next vacation at the 2016 Bay Area Travel & Adventure Show! You’ll find hundreds of destinations, tour operators and travel suppliers from around the globe, who combine to put thousands of travel experts right at your fingertips. Become inspired to take that dream vacation by attending seminars featuring top travel celebrity experts such as Samantha Brown, Rick Steves, Pauline Frommer and Johnny Jet on the Travel Theater. Become your own travel expert on the Savvy Traveler Theater, where seasoned travelers will give you the tips and skills you need to maximize your next vacation. Find out the top places to go and see on your next vacation from local experts as they present 30 minute workshops designed to give you the insight you need to have an authentic travel experience on the Destination Theater. At the Taste of Travel Theater, you can watch some of the top chefs from around the world cook some of their culture’s favorite cuisines live in our stadium seating theater. Still want more culture? Head to the Global Beats Stage where you’ll see dances and performances from around the world. Don’t miss this opportunity to walk around the world in one weekend, under one roof at the Bay Area Travel & Adventure Show – March 5-6 at the Santa Clara Convention Center! Use Promo Code: SCPA for an exclusive buy one ticket, get one free offer! The 2016 SF/Bay Area Travel & Adventure Show, part of the No. 1 travel show series in the U.S., returns to the Santa Clara Convention Center, March 5-6, with an impressive line-up of keynote speakers, travel industry experts, global performers and renowned chefs. Confirmed participants include Rick Steves, America’s leading authority on European travel; Travel Channel host Samantha Brown; Jerry Stone, the popular food blogger; and Ben Simon, chief executive officer of Imperfect Produce, among others. Additionally, there will be a special presentation by Paul Wiseman, president of Trafalgar USA, as well as seminars hosted by the Nevada Commission, Philippine Office of Tourism, Fiji and the Yosemite/Mariposa County Tourism Bureau. Sergio Monleón and Emily Sarlatte, chefs/owners, La Marcha, Berkeley, Calif.
Travel enthusiasts can also look forward to the opportunity to meet with more than 200 of the world’s top travel providers and access to exclusive once-in-a-lifetime travel deals, prizes and trip giveaways. Back for the sixth year in a row, the SF/Bay Area Travel & Adventure Show will be the largest to date and is a smart, cost-effective way for savvy travelers to find, plan and book their dream vacation. The 2016 SF/Bay Area Travel & Adventure Show takes place at the Santa Clara Convention Center (5001 Great America Highway, Santa Clara, Calif.) March 5-6. On Saturday, March 5, the show opens at 9:30 a.m. for travel professionals, with general public hours set from 10 a.m. to 5 p.m. On Sunday, March 6, the show floor is open from 11 a.m. to 4 p.m. Single day tickets ($16) and two-day tickets ($25) can be purchased at TravelShows.com/shows/san-francisco-bay-area/. Children 16 and under are admitted free of charge. Sponsors of the 2016 SF/Bay Area Travel & Adventure Show include Tourism Fiji, “Rick Steves’ Europe,” Sunset magazine, Wonderful Indonesia and the Yosemite Experience Pavilion. Unicomm, LLC is an independent media and events company specializing in originating and managing world-class trade shows, conferences and digital properties. Unicomm’s properties include the nation’s largest and longest running series of travel events, the Travel & Adventure Show in Los Angeles, Chicago, Dallas, San Francisco/Bay Area, Washington, D.C., San Diego and Philadelphia, and the 1000TravelTips.com.